A major blemish on Norm Stamper’s 33-year police career was in 1999 when, as Seattle’s police chief, he ordered the use less-lethal chemical weapons against thousands of protesters rallying against the World Trade Organization talks. The result was an enduring split between that city’s police and community. But there were other times he participated in acts of brutality and disrespect under the color of the law. Stamper even wrote a newspaper column in 1998 describing the racist and homophobic police culture he was steeped in as a San Diego police rookie. So, when Stamper writes “cop culture has a way of chewing up even strong-willed, well-intentioned young officers and spitting them out,” and that racial bias is a systematic problem among the police, he knows what he’s talking about. 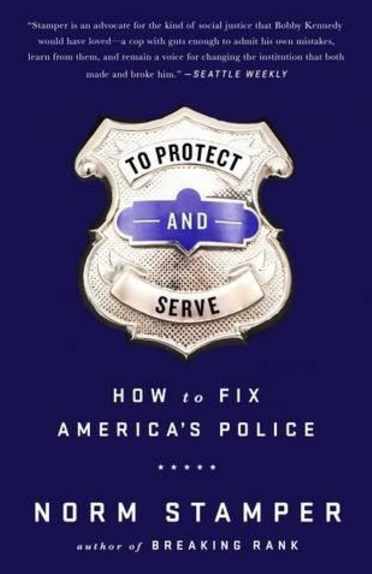 Stamper’s latest book, To Protect and Serve: How to Fix America’s Police, draws from these experiences and culminates in an eight-point manifesto calling for greater citizen involvement in “all aspects of police operations,” and an end policy disasters like the Drug War. He speaks on July 26 at Oakland’s Lakeshore Avenue Baptist Church in a free event sponsored by the Coalition for Police Accountability. Wednesday July 26, 7-9pm, free, 3534 Lakeshore Ave., Oakland.